This lemon-pepper shrimp is the easiest way to get dinner on the table after a busy day. Peeled and devined shrimp are tossed with olive oil, plenty of garlic and a bunch of lemon zest. Then seasoned with salt and freshly ground black pepper and baked in the oven for just 8 fast minutes. Fresh parsley is tossed with the cooked shrimp for additional flavor and color. 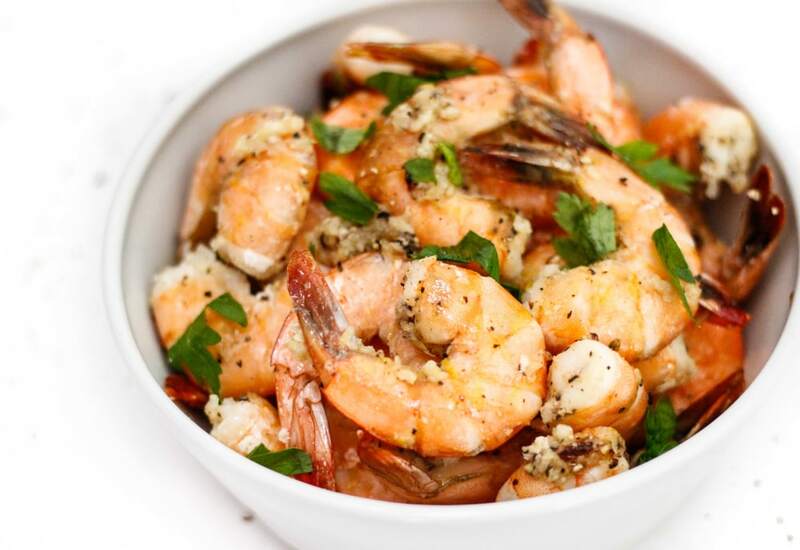 These Lemon-Pepper Shrimp are ideal when served over a bed of herbed white rice. Per Serving: 201 calories; 9g fat; 3.2g carbohydrates; 26g protein; 239mg cholesterol; 1209mg sodium. So quick and easy. This shrimp dish pretty much goes with anything you pair it with cause of its basic ingredients. I made this with my pesto noodles and they worked very well together. This lemon pepper shrimp was perfect! I tossed it with spaghetti squash and it was perfect. Such a light and delicious spring dish. I love the garlicky flavors too, it was incredible. Adding a few tablespoons of the sauce from a can of chipotle peppers in adobo was perfect! It really changed the flavor and heat of the dish, in the best way. This was really good and easy to make. I did want more heat but instead of using adobo, I added red pepper flakes. Simple, delicious, and perfect tossed with noodles. Added 4 tablespoons of the adobo sauce plus one chipotle pepper, chopped. It made the lemon shrimp spicy, flavorful, and delicious. Paired nicely with spiralized sweet potato noodles. Can this be cooked in the instant pot?